Apply PowerPoint design standard in just one click. Make a professional PowerPoint in just three steps. Designed by professional designers, the Theme Library contains themed fonts / colors / guides / layout presets. Just wave goodbye to helplessness and start to design amazing PowerPoint. Stop applying templates mechanically! You can choose from and collocate 100k+ PowerPoint resources to quickly create your own PowerPoint. 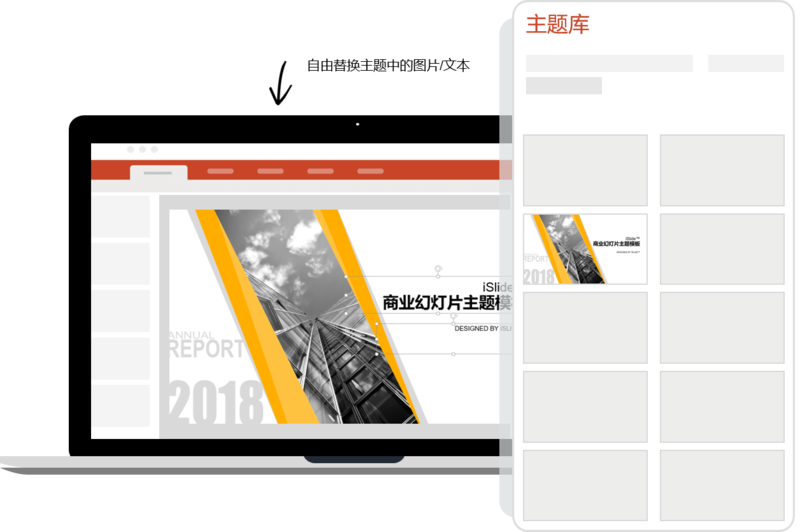 It covers the mainstream PowerPoint themes, including [Bussiness Plan], [Work Report], [Thesis Defense], [Training Courseware], [Resume] and more. Professional design team guarantees the update.